In 1-quart saucepan, stir together all ingredients except chocolate chips with wire whisk. Heat over medium-high heat, stirring constantly, until mixture thickens and boils. Boil 1 minute; stirring constantly. 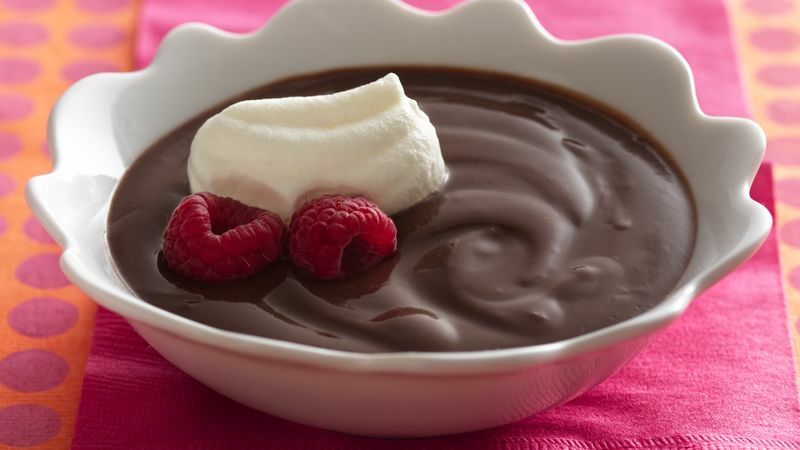 Remove from heat; stir in chocolate chips until melted and pudding is smooth. Spoon into 5 individual serving dishes; refrigerate at least 30 minutes or serve cold. A dollop of fat-free whipped topping makes a great topper for the pudding.